The EUR/USD currency pair is being corrected towards the previous descending structure; the price hasn’t been able to reach even the target of the second ascending impulse yet. 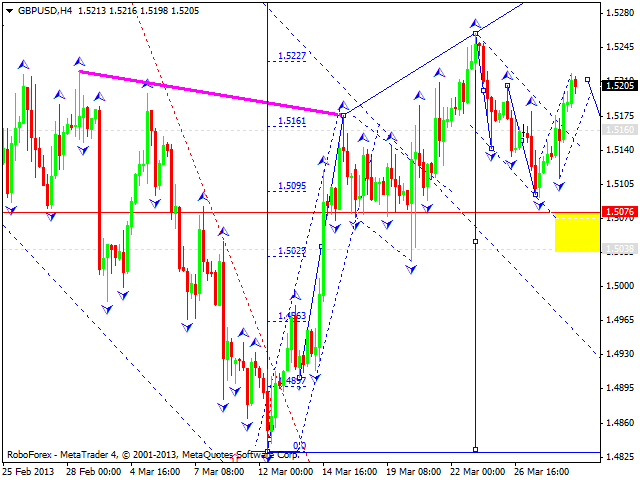 The structure of this correction implies that the pair may grow up a little bit and reach the target at 1.2858. Later, in our opinion, the price may start moving downwards, reach a new minimum and the level of 1.2700, and only then form a reversal pattern for a new deeper correction. 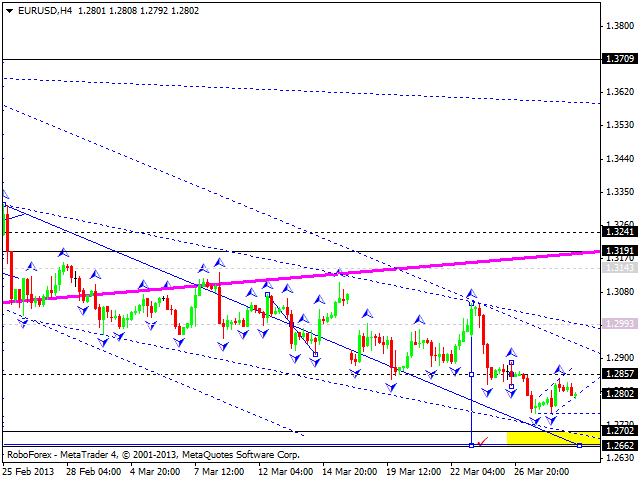 The GBP/USD currency pair is still being corrected. We think today the price may form another descending structure towards the level of 1.5080 and then start a new ascending wave with a local target at 1.5350. 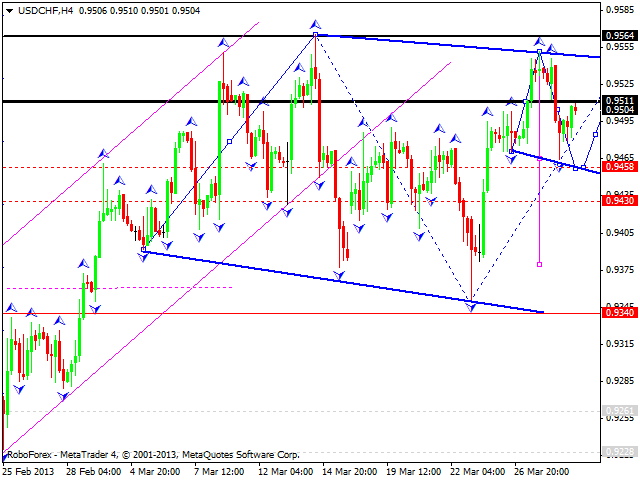 The USD/CHF currency pair is still correcting the previous ascending wave. We think today the price may form another descending structure to reach the level of 0.9455 and then grow up towards the level of 0.9515. After that we’ll try to think about possible future scenarios. The main one, in our opinion, implies that the pair may continue moving inside the current descending trend. However, there is an alternative scenario, according to which the price may reach the target at 0.9615 and only after that start making a reverse. The USD/JPY currency pair is consolidating near the level of 94. 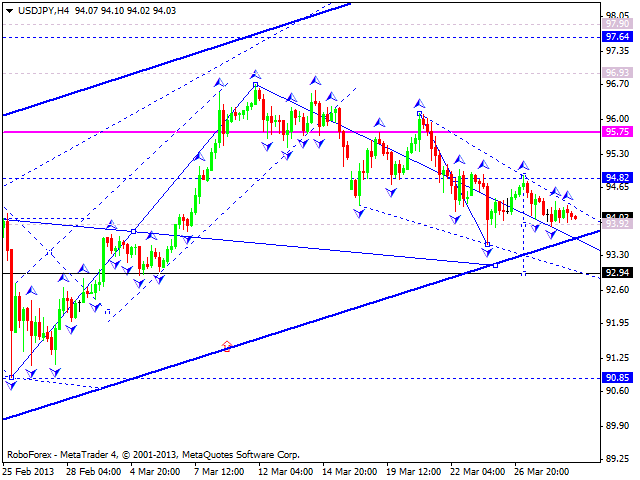 We think today the price may leave this consolidation channel downwards and reach the level of 93. Later, in our opinion, the pair may start forming a final ascending wave with the target at 99.90. Australian Dollar continues forming a descending wave. We think today the pair may break an ascending channel. 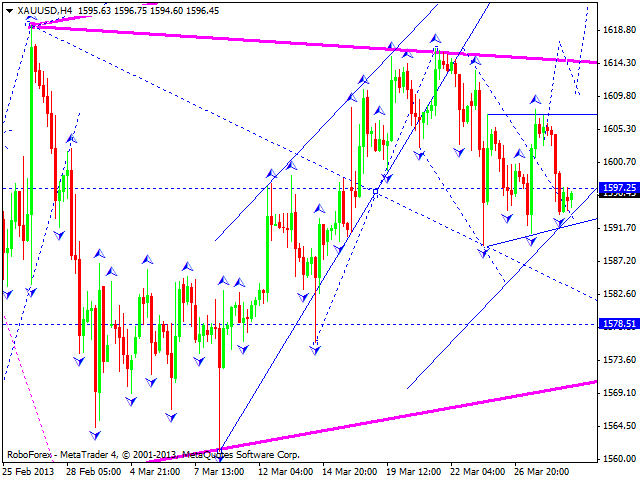 Usually, after breaking such channels, the market needs some time to consolidate. Later, in our opinion, the price may continue moving downwards. 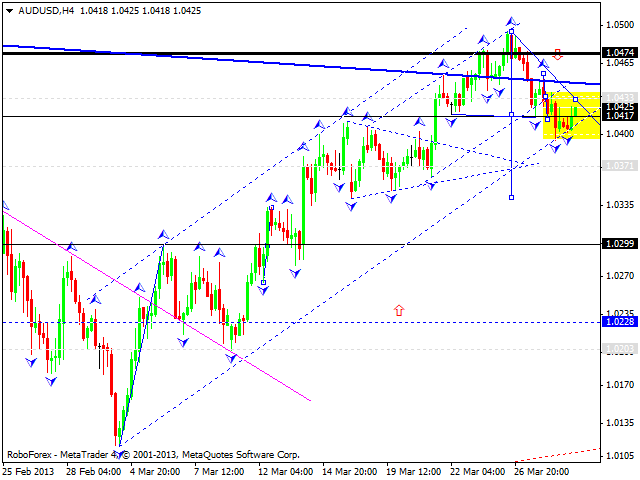 The first target is at the level of 1.0370. Gold is still moving inside a consolidation channel near the level of 1600; the whole structure looks like triangle pattern and implies that the price may continue falling down. In our opinion, the instrument may complete this correction at the level of 1646 and then start a new descending movement towards the target at 1525.